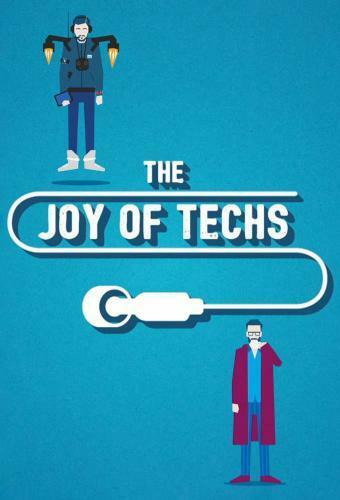 When will be The Joy of Techs next episode air date? Is The Joy of Techs renewed or cancelled? Where to countdown The Joy of Techs air dates? Is The Joy of Techs worth watching? Alexis Conran & Marcus Brigstocke put all manner of hi- and lo- tech gadgets to the test in their own inimitable way. Every episode takes on a different element of a modern man's life as gadget geek Alexis attempts to persuade the more ‘traditional' Marcus that technology is always best. There's non-stop back and forth as the boys battle it out to prove one of them is right in a series of scenarios, from lazy Sundays to winter sports. Marcus is promised a trip to a restaurant if he tries out the latest two-wheeled tech. Alexis Conran pits his cutting-edge camping gear against Marcus Brigstocke's low-tech kit as the two pals get up to mischief in the great outdoors and go fishing. Will Marcus Brigstocke ever succumb to 21st-century gadgetry? Alexis Conran aims to modernise his mate's country cottage with hybrid cars and self-watering plant pots! The Joy of Techs next episode air date provides TVMaze for you. EpisoDate.com is your TV show guide to Countdown The Joy of Techs Episode Air Dates and to stay in touch with The Joy of Techs next episode Air Date and your others favorite TV Shows. Add the shows you like to a "Watchlist" and let the site take it from there.